The astonishing Israeli singer’s voice has been described as a "tender mezzo-soprano". Inspired by a love of her Yemenite and Hebrew culture, her music quickly spread to a wider Middle Eastern audience, somehow bridging the divide between Israel and the Arab countries. As her career progressed, Haza was able to switch between traditional and more commercial singing styles without jeopardizing her credibility. Her music fused elements of Eastern and Western instrumentation, orchestration and dance-beat. This is epitomised by her cross-cultural use of traditional Yemenite costume with sunglasses. Haza’s ground-breaking 1984 album Yemenite songs were those she had heard in childhood, using arrangements that combined authentic Middle Eastern percussion with classical instruments. Paid in full by hip-hoppers Eric B & Rakim (as remixed by Coldcut) was the first time that her voice became widely heard in Europe and the USA, sampled from the traditional song Im Nin’alu (1988). Many western listeners responded to the beautiful, exotic voice: “What is that?”. Controversy and rumour surround her untimely death. It is said that, pressurised by her extended family to marry, at the age of 40 Ofra Haza wed a ‘successful’ businessman: secretly a long-term drug addict who had apparently contracted HIV before of the marriage. 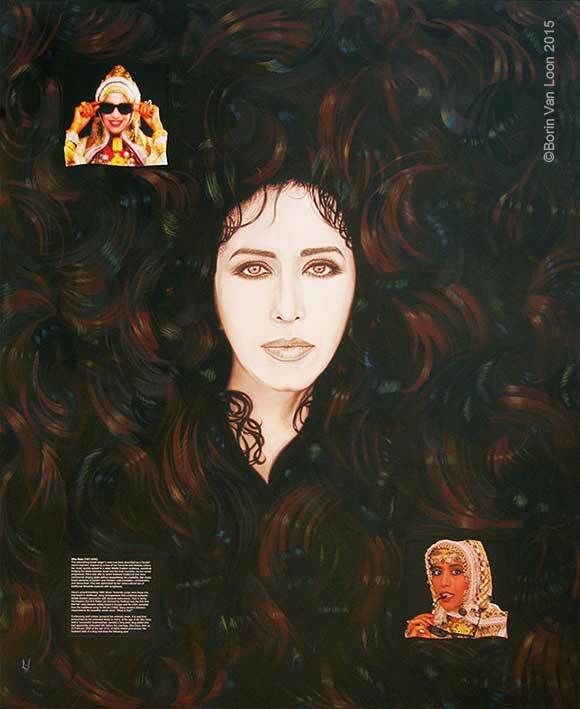 Ofra Haza died on 23 February 2000 at the age of 42, of AIDS-related pneumonia. Her husband died of a drug overdose the following year."